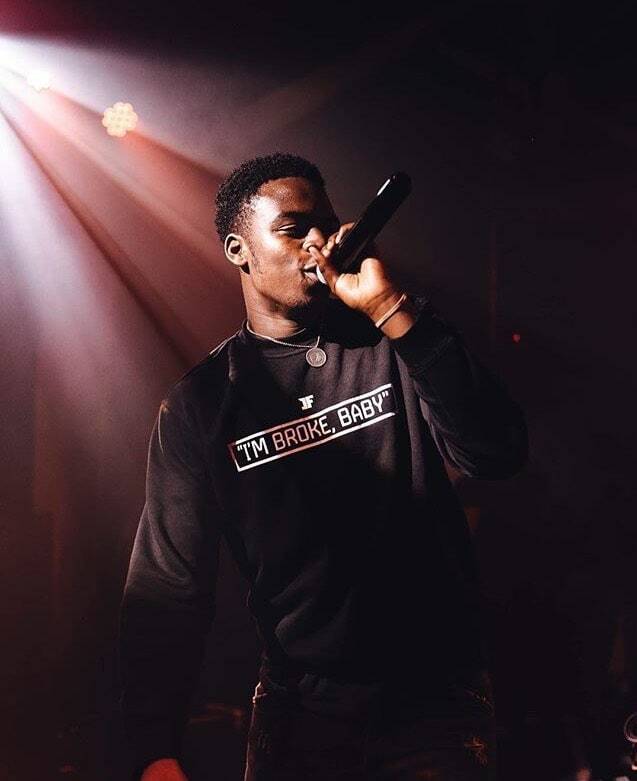 The 19-year-old has fans in Stormzy and Louis Theroux. “Peng ting called Maddison, I tell her come and jump in my Addison Lee” goes the opening line of London MC Not3s’s irresistible hit "Addison Lee." (Addison Lee, to the uninitiated, is a taxi firm based in the English capital). Tapping into the diasporic sounds of afropop, dancehall, grime, hip-hop, and R&B, Not3s’s single is a cheeky anthem for anyone who’s ever unexpectedly found themselves home alone and wanted to invite someone else over — even if they have to order the cab themselves. Since its release in November 2016, the song has been slowly racking up millions of plays on YouTube, and dominating Instagram Stories in London. This summer the track has gained a second wind. It's played regularly on Radio 1 and London station Capital Xtra, and has re-entered the charts and become a low-key festival favorite. Even documentary maker Louis Theroux is intrigued by the song, according to a recent tweet. In person, Not3s carries himself with a quiet confidence. 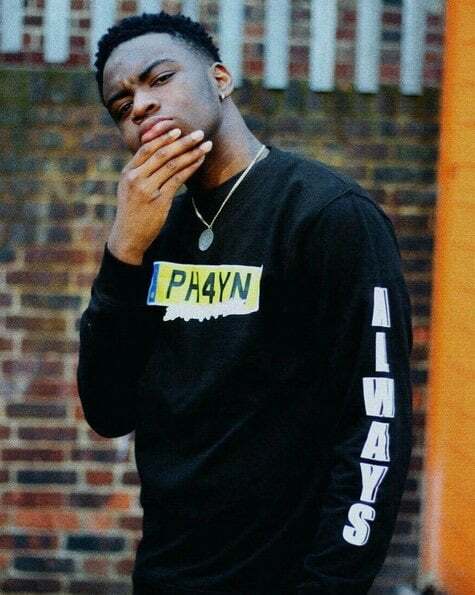 Speaking to The FADER in an east London restaurant in late July, the 19-year-old east London native explained that the 3 in his name represents the things he wants the most, “money notes, music notes, and people taking note of me.” Since the track blew up he’s got to meet his musical heroes like Stormzy and Wretch 32, and has new music coming with Tinie Tempah and Mabel. He’s also shown his work ethic, putting out follow-up singles "Notice" and “Aladdin” in quick succession. Below, Not3s explains the story of the song that changed everything for him. When did you write “Addison Lee”? October 2016. I was in a studio in [east London’s] Stratford, right next to the shopping center. That day I took an Addison Lee to the studio with [producer] Maly On The Track. We were going through instrumentals and vibing off them. As always, we were just talking complete rubbish over the music trying to make something out of it. Within the first 10 seconds of hearing that beat [“Addison Lee”], I was saying "Peng ting called Maddison, come jump in my Addison Lee." [My friends] were laughing but I was serious about making this into a song. After that I took it to another studio in [north London] Green Lanes, and to a producer called N2theA. I was just winging it, I never structured it or nothing. Just saying what I wanted to say. From there I started putting clips on my Instagram and Snapchat and people would message me like, “Yo, when is this coming out?.” There's an account on Instagram called @imjustbait, sort of like a U.K. WorldStar. [The song was] posted on there and that's when it went mad. At first my management weren't keen on me releasing it. We were arguing, because I was ready to put it out. I went home and just released it on SoundCloud one night. It started getting thousands of plays, and on the second day, GRM Daily hit me up and said, “This song is so dope. We need to make a video.” We shot that and three days later it was on YouTube. The views started piling up. I'd never had that amount of attention before. What were you hoping for when you put “Addison Lee” online? Back then I was hoping for 100,000 plays. That was big for me. After that I started seeing people get one million plays on their videos though, I wanted that too. I was at my friend’s house when the video got one million plays. We started screaming and shouting. Two of my friends gave me a bottle and we went out onto the street and popped it right there. I was just screaming “One million views.” I was super gassed. It could be the song my friends tell their kids about. Have you had any feedback from Addison Lee about the song? When the song was released, Addison Lee messaged me and said “This is fire” with so many emojis. After that they sorted me out with my own unique discount code, which they don't normally do. That enabled my fans to get £10 off their ride with a code I gave out. They even invited me to perform at their Christmas party. That was sick. They had two girls dancing in hula-hoops that were suspended from the ceiling. Brooklyn Beckham put it on his Insta story. There's a girl called Madison Beer who has a mad number of followers, she likes it. Louis Theroux tweeted something about it too. I didn't really understand the tweet but I found it funny. He's probably heard it on the radio by accident. [Soccer players] Raheem Sterling and Hector Bellerin are fans as well. Meeting Stormzy must have been a big moment for you? I'm very eager to release new music. My EP is due in September and it's very versatile. It's me telling people to take note of me. Don't doubt my abilities because if you want to keep up, you're going to have to take note. Not3s's Take Not3s EP is due on Relentless/Sony later this year.